Master the neat and tidy look in your home with the Whitehaven 2 Drawer Storage Unit in White Wash. This timber and rattan unit is super-handy for taking care of all the bits and bobs that just don’t fit in your existing storage, plus it has an on-trend mixed-material look that adds to the stylish factor. 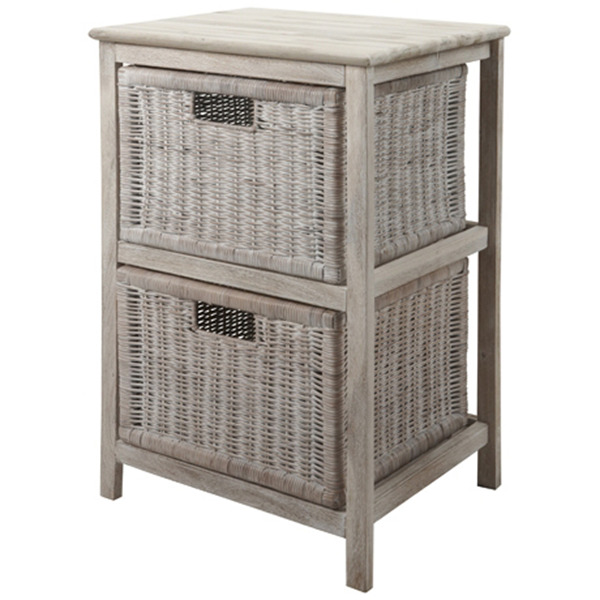 With woven drawers and timber frame, this piece is just the thing to get your home organised. Also available in 3 Drawer, 3 Drawer Low and 6 Drawer options.